& Great Times Come Together. Established in 1998, The Back 9 Pub has served the research triangle for over 14 years. Come in to experience the friendly neighborhood atmosphere, enjoy some great food, ice cold beer, and watch a game on one of the eight HD flat screen TVs. We're open 365 days a year and feature daily food & drink specials. A local favorite are our famous signature wings, finished with your choice of eight sauces. Our extensive menu features many other specialties: hand crafted burgers, appetizers for sharing, sandwiches and wraps grilled to perfection, fresh salads, and so much more. On draft are some tried and true favorites as well as local craft, seasonal, and micro brews. 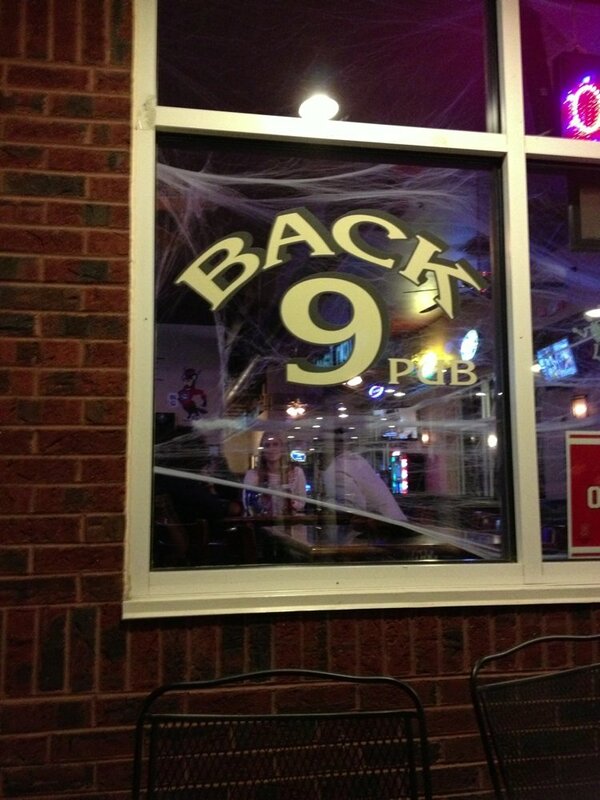 We, the new owners of the Back 9 Pub, look forward to extending the same friendly service to you. We hope to see you soon in our backyard!